Refining a classic form, Bordeaux brings a sense of subtle sophistication to the bedroom. 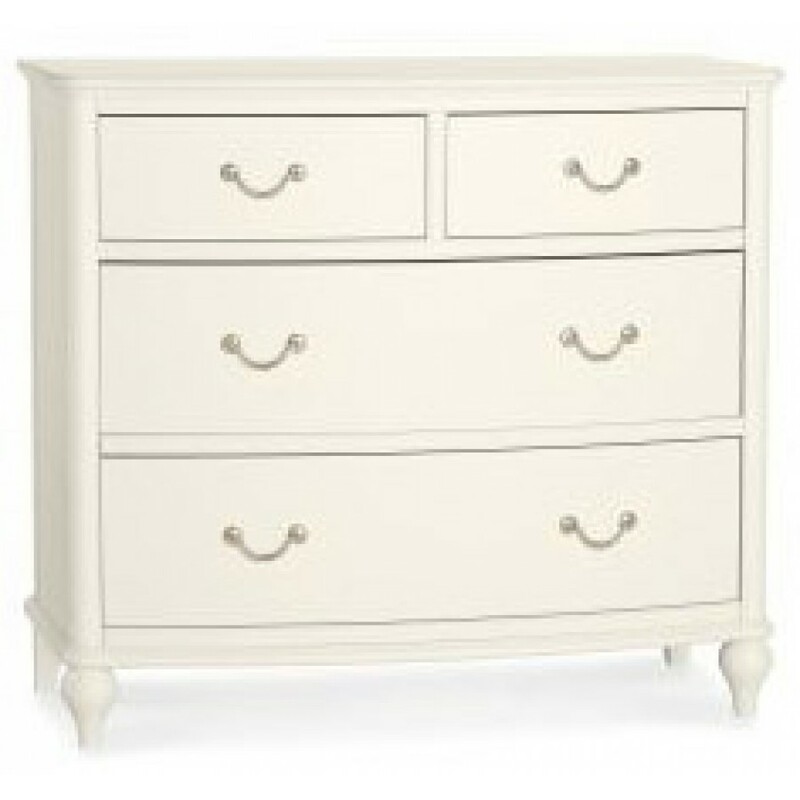 Finished in a soft ivory paint with contrasting yet delicate silver handles, the range features cabinets with gently bowed fronts, soft curved frames and beautifully turned legs together with a profiled top crest rail on the bed that will bring a tranquil and relaxed atmosphere in any bedroom. Added features such as soft-closing runners, pull out shelves and a jewellery tray allow for a superior customer experience.